Guests of Edgewood Tahoe can now wake up to more than just a beautiful hotel room. 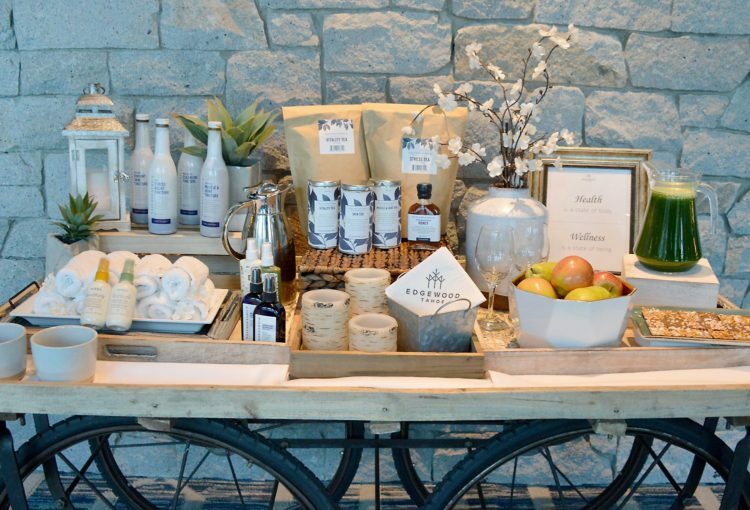 The South Lake Tahoe hotel is offering an Après Sleep cart to kickstart daily wellness. The complimentary wellness cart is stocked with nourishing, healing and delicious goodies like green juice, balancing mist, health-packed snacks and more. After visiting the cart in the lobby guests can enjoy plenty more at the lakefront resort like the area’s only private beach, an 18-hole championship golf course, spa, salon, three restaurants and more.